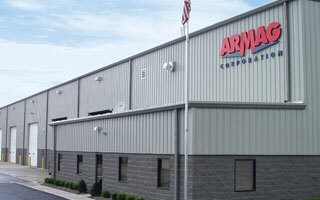 Armag has over 40 years of experience building secure modular buildings for military, government, and commercial use worldwide. Through an exclusive partnership with SPG Incorporated, we provide on-site subject matter expertise (SME) at all stages of your project. This thorough oversight ensures rigorous compliance with US Government (USG) requirements concerning ICD 705, related standards, and also provides cost efficiencies in labor, materials and performance. Serving as one of the leading co-authors of ICD 705 for more than six years, while sitting on the Director of National Intelligence (now ODNI/SSD/CSE) Special Security Center’s Physical and Technical Security Expert Working Group (ONCIX/SSC/PTSEWG). Experience serving as a senior SCIF accreditor in the Intelligence Community, accrediting hundreds of SCIF’s and SAPFs of every size and level of complexity worldwide. Being subject matter experts on the construction of SCIF’s for accreditation under ICD 705 and will be available to help answer your questions and concerns, to include CSP, FFC and TEMPEST checklist submittal documents. Co-authorship in the content, design, and implementation of the original official ICD 705 training course, and then serving as senior instructor for more than two years. This includes “DCID 6/9 to ICD 705” transition training for actual IC accreditors. Have trained hundreds of government and industry students on ICD 705. Over 20 years of U.S. military service in many of the most secure locations. Armag has been recognized by the U.S. Military as an authority in highly secure, modular buildings, and has served as a consultant to the U.S. Navy in developing the Type 2 specification for explosives storage.